The ability to visualize creative concepts in real-time before moving to development is quickly establishing itself as a key element of the production pipeline across multiple industries. 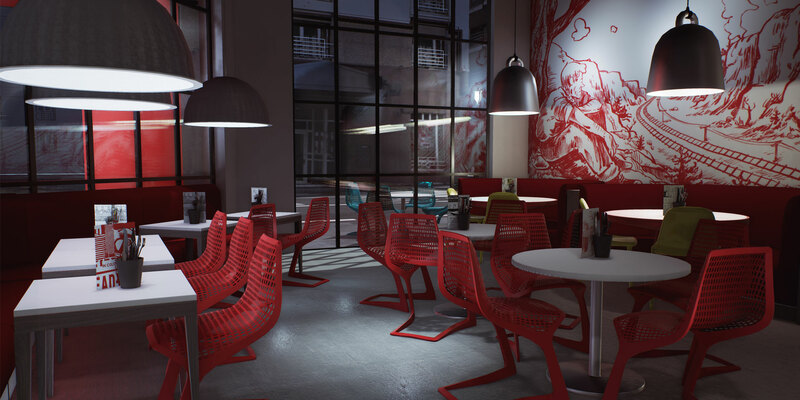 By placing Unreal Engine 4 at the core of their pipeline, Soluis Group were able to instantly create photo-realistic images and movies, and play with lighting, materials and internal layout, while developing the new look and feel for the Radisson RED hotel in Brussels. As the project unfolded, Unreal Engine proved itself to be the quickest way to beautiful. And by partnering UE with their Immersive Reality Portal, Soluis Group were also able to deliver a shared experience to their client that really allowed them to become a part of the new design. In the following case study video, you can witness where real ends, and Unreal begins.